“Big Dreams is my name and my life is the same. I wake up every morning for the love of the game.” And the name of the game is the entertainment industry. 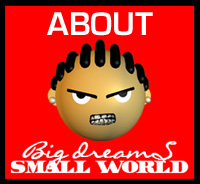 Meet First name, “Big Dreams” last name “Small World”. And he has one mission. To be successful and take everybody who is creative with him. Big dreams live to help everybody who is unhappy with life because they aren’t doing what they have a passion for. Everybody who has been jaded by the entertainment business. Everybody who was used and overlooked when all they want to do is make a living. He’s on a mission and all he needs is for you to join him. 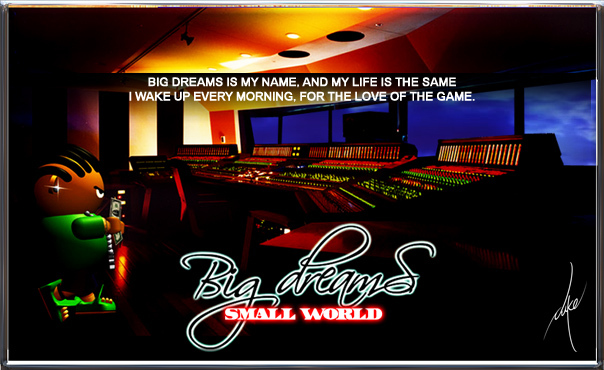 Sign up and join the “Big Dreams In A Small World” movement so he can help you, LIVE LIFE HARD!